I transfer VHS on a daily basis at Advanced Media LLC in Hollywood and you can bet I’ve seen the world from the vantage of my office. I’ve been to Thailand recently without paying for air fair. The year was 1990 something and the weather was fine. But that’s another story. You probably have a box or two of old VHS footage and you may want to transfer that to DVD or to a file so you can edit the footage but you may need a little information to help you make a good decision. After all, it costs money and there’s no need to waste your resources. 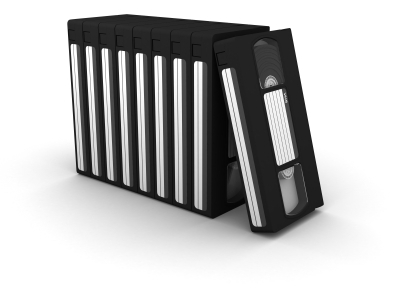 The main question is, “What’s the purpose of this transfer?” If your answer is, “To watch it on DVD because I threw out my old VHS player long ago,” then you should simply drop these tapes off with a professional to have the simple transfers completed. This method is cheap and easy and everything on your tapes will be preserved in DVD format which works on your computer at home as well as your DVD player. However, if you wish to cut out some of the bad bits and to omit relatives and friends or moments you do not wish to relive, then you want a file. A file is a single, self-contained version of your material that can be manipulated, cut and edited very easily. 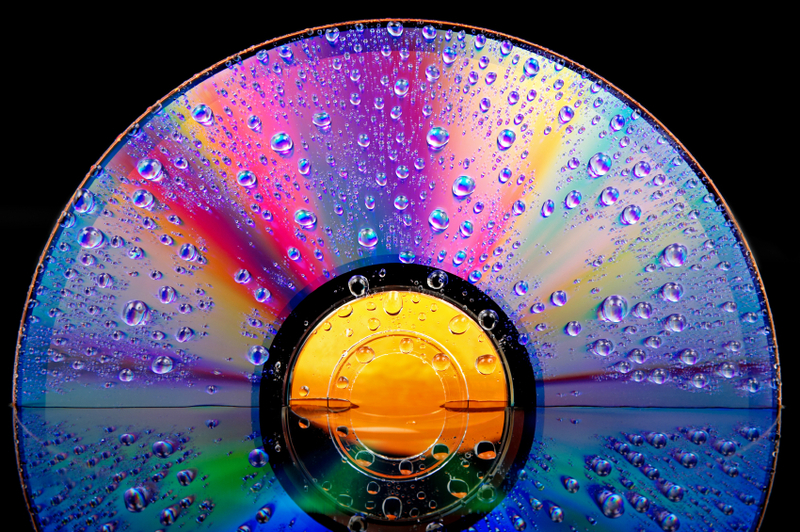 DVDs require an additional step if you wish to edit them for which you’ll need the appropriate software, the knowledge of the process to operate it and a bit of patience because in the digital world, things are not as easy as one would hope. Strange occurrences are often unexplained and that is generally why people let us deal with the headache of creating files and DVDs. Not to mention we can save you a lot of time and frustration. The other big advantage, is quality. A file can preserve the footage better with no-loss formats such as uncompressed and very little loss codecs such as Prores. Remember, a DVD is compressed and while it may not look any different to the untrained eye, it really is altered for the worse. After you have the file safely stored on your removable hard drive, you can plug it into your computer at home or in the editing bay and easily manipulate the footage, adding music, titles and cutting our anything boring or mundane. And when you’re done, bring it to a family gathering and watch the smiling faces. Nothing brings a joy like truly reliving our past triumphs and sharing that with the people we care about. For more information check out our other site HERE. Most people have no idea what PAL or NTSC formats are or refer to and that’s why I’m writing this article. As the Office Manager of Advanced Media LLC in Hollywood, I get a chance to meet with people from all over the world to discuss their media. It turns out that media from foreign countries does not play in our DVD players in the US and the need arises to view this footage here and that’s how people end up here. Just recently, a couple from India came in with wedding footage shot in PAL format which is standard in India and in many parts of the world and they wanted to cut together a DVD which could be viewed in India as well as here in the US. The process of converting the 25 frames per second PAL to the 29.97 frames per second NTSC is quite involved and I won’t bore you with the technical details. In the end I cut the footage on a PAL timeline and used a special hardware component called a Teranex Converter to create the NTSC version. The Teranex gives the highest quality possible. Another gentleman came in with a DVD he ordered from England. He was surprised to find out that it didn’t play in his player and because it was simply for home use, I was able to do a very simple form of the PAL to NTSC DVD transfer in which I play the disc in one machine, run it through a converting device and run that into a DVD recorder. The quality is not quite as good as the original but it’s certainly just fine for viewing at home. 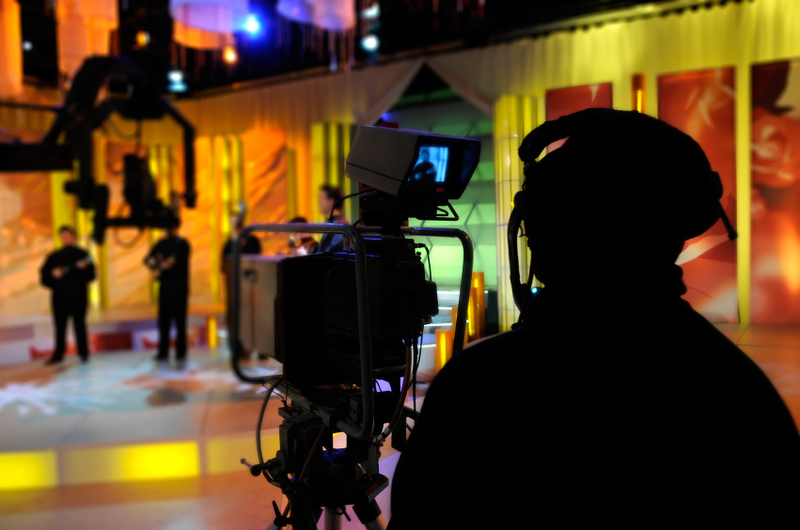 Most people opt for this very inexpensive transfer over the Teranex, however, anyone wanting to broadcast their media on television or to display a film in a theatrical setting should opt for the high quality hardware solution. For more information on our Post-production Services click HERE. EPKs and trailers are an invaluable marketing tools for your video, film, web series, etc. They are important for creating buzz for your project as well as tease the audience into wanting to see your work without having to reveal too much. EPKs show behind the scenes clips and interviews of the people who are involved with your project. When people see how much fun or the process of what went into the your project they will be interested in seeing it. We recently worked on EPKs for the feature films: Alvin and the Chipmunks: Chipwrecked, Shame, and The Decendants. Trailers showcase the best and also teases the audience. Trailers are extremely important for marketing your film, Sadly these days with so much projects and ads out there, you only have about 3 minutes to catch a person’s attention. At a Film Market for example, buyers have to be constantly moving around looking for the next big hit. They only have time to watch a trailer here and there and if they are interested in your trailer then they will watch your film. It’s difficult being a musician these days. Record Labels are slowly being phased out and illegal downloads have made it extremely difficult to make being a musician a lucrative career. The once great MySpace is now primarily for bands to post new music, tour dates and blogs to get that all important word-of-mouth out. How can you expect to compete with technology? By using it to your advantage. MTV may not have aired a music video since the Macarena but that doesn’t mean Music Videos are no longer useful in getting your band noticed. It just means budgets are no longer that huge! This is great news if you don’t have deep pockets but still want to make a creative and professional looking music video for your band. Which is why we provide Video Production Services. They don’t all have to be as clever and difficult as OK GO’s Rube Goldberg video for ‘This Too Shall Pass’. Look at the Black Key’s video for ‘Lonely Boy’. It’s as simple a music video as can be: one set up, one take and it’s simply a man dancing to the song and it has 7 million views and counting. You need to get your video out there, and we can help with that. We provide affordable video production services in the Los Angeles area and we have a lot of experience in working with feature films and with MTV’s Lingerie Football League. Create a mini documentary with your band or a web series to tell a story about your band. Advanced Media LLC recently started their own production company and our goal for 2012 is to have a lot of exciting projects that lead us to bigger and brighter things! Our recent projects included a Web video for a real estate company in Pallos Verdes! We also recently finished a video production job for the Eye Care Company, VSP. Last week we finished a demo reel in Studio City for an up and coming young actor. At Advanced Media, we want to be your one stop shop for you post-production and now for your production needs. Along with video transferring, we also edit and produce demo reels for all our customers. We are new to the acting reel production game but our experience in Hollywood make us more than qualified to handle this time of job. In studio city we shot a few scenes for an engaging young actor so that he may have a more full and complete demo reel. We provided the lighting equipment, camera and sound equipment as well as a small crew that were more than willing to help out an actor with their video production needs! We shot one comedy scene that took place in a pizza cafe and another drama scene in an office setting. It was a pleasure working with everyone involved with the reel and we can’t wait for the next job! Afterwards the happy customers went to our office where we also cut their reels together and made duplicates of it for the casting agents around the LA area, of course we can provide this and more! Click HERE for more info. Every day I get calls from people with analog formats like VHS, Hi8, Video 8, 3/4”, Beta SP and many others who would like to transfer their tape to DVD and/or file. That’s why I’m writing this blog to explain the differences between DVD and digital files. The first thing to consider is, what is the intended use of the media? For instance, someone has an old family video tape on VHS and they simply want to watch it at home but they no longer have a VHS player. In this case, I would recommend a straight transfer to DVD. On the other hand, if the client wants to be able to edit the footage and cut out certain scenes, add music and some simple text titles, then I recommend a file. Anyone looking to edit their footage is probably better off with a file because the process of creating a DVD involves compressing the video. This means that some quality is lost in the transfer. Exactly how much quality is lost? That’s very difficult to answer. The DVD recorders that we use are top of the line. They determine the compression formula, and the result is very high quality DVDs. With a file, there are many more options as far as compression is concerned and I won’t bore you with the details but it is easy to give a client a file that has no loss in quality whatsoever. In many cases it’s best for the client to have both forms of media because the file can work as a back up and the DVD can be great for displaying content for friends and family. Often people don’t understand the difference between a DVD and a file because after all, isn’t a DVD digital? Yes. However, a DVD is made up of many different files that work together to play in your DVD player whereas a file is a single, self-contained unit able to be played in various applications like QuickTime. The file can be easily manipulated without any extra steps. Furthermore, the file is only going to play on a computer and a DVD will play in a DVD player or computer. Another question arises, “Can I create digital files from the DVD that I can use for editing?” The answer is, yes you can as long as you have an application that can do it and the know how to complete the task. It can be very frustrating if you have neither and it could possibly be very time consuming. At Advanced Media we provide this service for a reasonable rate. The process involves transcoding and creating new files to be used for editing or uploading to the internet. For clients looking to pull clips from a DVD for the purposes of editing, we recommend .mov files, also known as QuickTime files. These are known as cross-platform files, meaning they are accessible by Mac as well as PC computers. In the case of uploading files, we use the Mpeg-4 file format utilizing the now famous H.264 compression. Your videos will be more compressed but there’s really no getting around it. We do our best to maintain the highest quality while creating files small enough to enable people all over the world to stream your content. This makes sharing easy and fast. It’s just a click away .